Why is the “North” shying away from global collaboration on tax? One of the more contested issues at the 3rd International Conference on Financing for Development, currently underway in Addis Ababa, Ethiopia is how to improve/ensure global cooperation in tax matters. 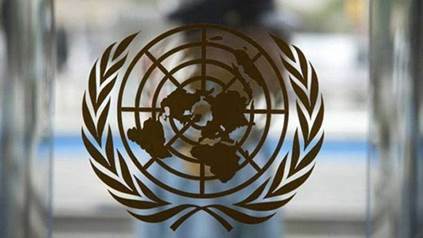 During preparatory negotiations in New York, a proposal surfaced that would upgrade a UN expert committee on the issue into a full-fledged political, and more importantly universal, commission. The commission could deal with issues like fighting tax evasion and avoidance, could set standards for double taxation agreements and for how to deal with transnational corporations. This proposal, however was rejected with force by most OECD governments. Blocking debates as the new modus operandi? This strategy of rejection and evasion is a modus operandi practised in two other UN processes in the last year. A working group of the UN General Assembly was set up to discuss creating a global debt resolution mechanism, and the Human Rights Council set up a working group to explore a possible binding treaty on the human rights obligations of transnational corporations. In both cases, many governments from the global North first tried blocking the establishment of these working groups and are now generally boycotting the ongoing deliberations. The arguments vary as to why these governments are shying away from even discussing new modes of cooperation and new regulatory approaches. In the case of tax, the reasoning becomes very clear –this is all about power and control. Who controls the rules of the game? It would be wrong to say that there is no international cooperation on tax issues. Much effort is expended on what is called base erosion and profit shifting, with processes underway under the G20 and among OECD members and friends. The rules and procedures are being developed for creating more transparency and more practical collaboration among tax administrations. These are likely to become de-facto global standards in years to come. The global North is also not allergic to cooperating on tax issues with smaller countries in the global South. Rather, it is willing and ready to spend more money to build capacities in developing countries for them to mobilize domestic resources (i.e. collect more taxes) and tackle tax evasion and avoidance. Why then, “Northern” governments ask, should we create new mechanisms to discuss efforts that are well underway in the OECD and G20 frameworks. Why spend resources on process, when we can do so many things in practical terms? Wouldn’t that just be a waste of precious time and resources? These governments also question the ability of many countries to actually enter into discussions that obviously are very technical and extremely complicated. Governments of the global South, including G20 members like India, on the other hand want to create a space at the UN to deliberate on international tax issues. And they call for this space to be universal, so that every government can participate in their own right, not as guests. The argument here is that tax is essential for meeting domestic commitments in all countries and needs to be discussed by the community of all states, not just within the umbrella of an exclusive club. If (de-facto) standards for international tax issues are developed and implemented by the rich and powerful, they are very likely to reflect and address their interests. Along the rationale “what’s good for my companies is good for my country”, governments will protect their respective business models. OECD member governments want to avoid that “their” companies and corporations will be taxed too heavily when active in the countries of the global South. The latter, on the other hand, seek a larger share of the profits generated within their borders. For both parties, the rule-making forum becomes critical – hence, a conflict of interests that appears to be a zero-sum game. This approach, however, is extremely short-sighted. It sees economic issues, misguidedly, from a nationalistic angle. Transnational corporations don’t act in any country’s interest. They act in the interest of their shareholders. They openly say they were bound by that interest to avoid taxes and, thus, maximize profits, no matter where they operate. And they do so very successfully, as many cases and libraries full of research show. The question for governments, then, need not be “how can I guarantee that a company is not taxed abroad?” but “how can I and the other host government generate tax revenue from companies?” All governments should have a seat at the table when talking about global tax standards – not just the rich or large or powerful. It is time for smaller and poorer countries to have a voice and to use it. Of course, there is much to be discussed about how a universal body should function practically and where technical expertise should come from. Proposals from all governments are insufficient at the moment. While the global South wants to turn the existing expert committee into a political body, the global North proposes as a compromise to simply expand the existing expert committee and give it more resources. From an CSO perspective, this is not an either / or. Would not the best solution be to retain and expand technical expertise while at the same time creating a space for political deliberations with universal membership? Nor would the role of the OECD be called into question in this approach. Its knowledge and expertise could be of benefit in global discussions. Similar to how the G20 has commissioned the OECD to work on BEPS, a new UN body could ask OECD to share knowledge and make proposals on various issues. One issue that could be addressed by the UN more effectively than by the OECD is how to deal with transnational corporations in tax matters. The OECD currently seems stuck in a model that treats subsidiaries in different countries like separate entities and their interactions like normal trade. An Independent Commission for the Reform of Global Corporate Taxation (with prestigious members like José Antontio Ocampo, Magdalena Sepúlveda Carmona and Joseph Stiglitz) sees this as the greatest obstacle to fair international taxation of corporations. A fresh institutional setting may be able to take a step out of this stalemate. The resolution, passed by the UN General Assembly’s Third Committee, urges states to take effective action to prevent and eliminate sexual harassment against women and girls, to address structural and underlying causes and risk factors, and to protect victims of all forms of violence, including sexual harassment. It calls on states to take necessary measures to ensure that employers in all sectors are held accountable when they fail to abide by laws and regulations addressing sexual harassment. A strong and dynamic World Health Organisation (WHO) is critical for the achievement of the SDGs, especially SDG 3 on health and well-being. The WHO constitution mandates the organization “to act as the directing and co-ordinating authority on international health work”. However, its ability to fulfill this mandate is circumscribed by the nature of its financial resources. WHO’s biennial budget for 2018-2019 is US$ 4.42 billion, 2 just over a quarter of the total sales of the top-selling medicine Humira (Adalimumab) in 2016 (US$ 16.08 billion). El informe de este año consta de tres partes: La primera parte engloba dos artículos que resumen las principales conclusiones de las contribuciones a este informe y los mensajes de los informes nacionales de la sociedad civil. La segunda parte se centra en cinco capítulos sobre áreas transversales de reforma política que demuestran las interrelaciones entre varios ODS, la necesidad de “des-compartimentar” los enfoques políticos actuales y de promover políticas que sean verdaderamente coherentes en aras del desarrollo sostenible, los derechos humanos y la justicia de género. La tercera parte incluye 17 enfoques breves sobre los ODS que destacan una selección de ejemplos de buenas o malas políticas en función de objetivos específicos. El informe cuenta con el apoyo de una amplia gama de organizaciones de la sociedad civil y sindicatos, enumerados como socios. También se basa en las experiencias y los informes de grupos y coaliciones nacionales y regionales de todas partes del mundo. 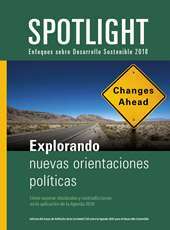 Las contribuciones cubren muchos aspectos de la Agenda 2030 y de los ODS (y más), y reflejan la rica diversidad geográfica y cultural de sus autores. Pero lo que todas las contribuciones tienen en común es la convicción de que el mundo todavía está lejos de alcanzar el desarrollo sostenible y que son necesarios —y posibles— cambios fundamentales en las políticas y enfoques para desplegar el potencial transformador de los ODS. The United Nations and system organizations should engage with donors in a dialogue at the strategic level for the adoption of donor reporting templates and accommodating the common information needs, demands and requirements of donors and the regulatory frameworks and capacities of the organizations. This is one of the main recommendations highlighted in a new report by the Joint Inspection Unit (JIU), an independent external oversight body of the United Nations system, reviewing donor reporting requirements across the UN system. The JIU review focused on the United Nations system organizations that have the highest number of donor reports and on the 16 major donors to the United Nations system, including the European Commission. Read More. Measuring the SDGs: Who controls the process, who owns the results?